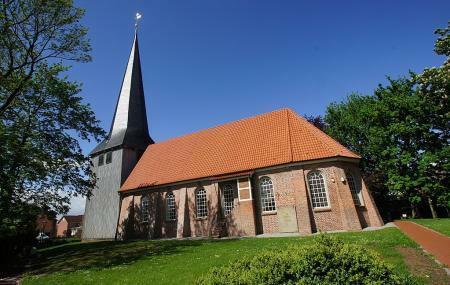 Find hotel near St. Nikolai Kirche, Borst .. If you want to experience sheer tranquil with your family or friends, St. Nikolai Kirche, Borstel in Jork is the perfect place for you. A very welcoming house of prayers, this evangelical church is located in a beautiful environment. The church’s community members are very warm and friendly towards new members. With a length of 18km, this is credited as one of the tallest churches in the area. The interiors of the church are designed as an old historic building but is a wonderful appeal. While you are in Jork, do attend the sermons and services which are very powerful and spiritual. Eine wunderschöne alte Kirche. Ein Besuch lohnt auf alle Fälle. So etwas gut erhaltenes habe ich selten gesehen.